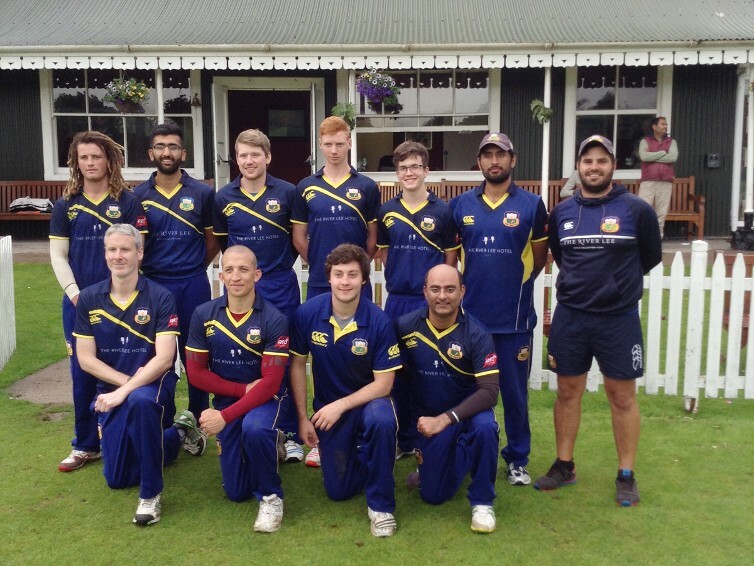 The Munster Senior T20 Blast reached an exciting climax on Saturday, 18th June, when the Cork County Rebels clinched their second successive T20 title following a 7 wicket victory over Co. Galway amid wet conditions at the Mardyke. Finals Day saw the four Semi-Finalists compete for a chance the compete for the T20 title. Cork County, County Kerry, County Galway and Cork Harlequins all converged on the Mardyke to battle it out for a place in Saturday evenings Final. Victories for both Cork County and County Galway saw a repeat of the 2015 showdown. As the Final approach, the weather took a turn for the worse with a light drizzle becoming more persistent during the County Galway innings after the Tribesmen won the toss and decided to bat. In a reduced match of 14 overs a side, the Galway batsmen set the holders a tricky total of 90 to win as the conditions put batsmen, bowlers and fielders to the test. The main contributions for Galway came from opener S Nasim (23), S Ramnathpur (24) and SQ Khan (22) with Bhatti (3-11) and Brian Kelleher (2-18) doing most damage with the ball. In reply, Galway took the prized scalp of Stephan Grobler early but an extremely composed partnership from Cork County skipper Chris Banon and teammate Cormac Hassett kept the Leesiders on a par with the Required Run Rate. Durity replaced Banon, after the opener edged one behind to Nasim, and continued the momentum with 14 from 14 balls until he was clean bowled with the result still in the balance. A authoritative display of batting from Abubakar Saddique (16*) saw Cork County home with just 7 balls remaining and 7 wickets in hand.